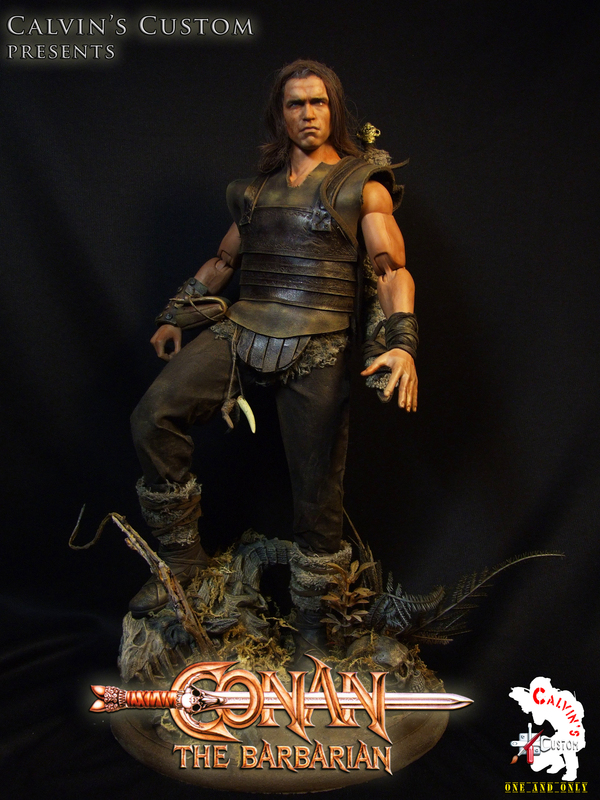 Calvin's Custom One Sixth scale Conan the Barbarian custom figure. Calvin's Custom One Sixth scale Conan the Barbarian custom figure. HD Wallpaper and background images in the Arnold Schwarzenegger club tagged: arnold schwarzenegger calvin's custom one sixth custom figure. This Arnold Schwarzenegger photo might contain brustschildlein, aegis, egis, brustplatte, ägide, ei, brustpanzer, schirmherrschaft, hip boot, and thigh boot.